The hips are one of the most important joints in the human body. Our hips are responsible for supporting our body weight and they are the most important point in our body for maintaining balance and for correcting the alignment of the spine to maintain healthy posture. Hips do a lot! Unfortunately, most of us aren’t very kind to our hips. We spend long hours sitting at desks or on the couch which weakens our hip muscles and starts limiting their mobility. Humans were not made to sit in a chair position for hours on end and most of us don’t realize how limited our hip mobility has become until we start trying to get back in shape. Do not let the name of this stretch fool you! It is not as comfy as it sounds, but it will do wonders for stretching out your hips and improving mobility. Start with short amounts of time, such as 2 reps of 20 seconds on each leg, then build up as your comfort and flexibility increase. This video has a lot of information! Watch it all! The specific move we love starts at 1:55 and really works wonders to improve mobility. 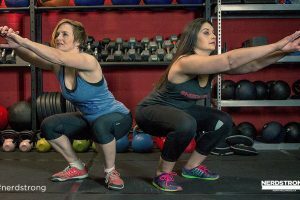 The muscles that flex a joint are called “flexors.” This move will help stretch your hip flexors and make prep them for whatever your workout throws at them! 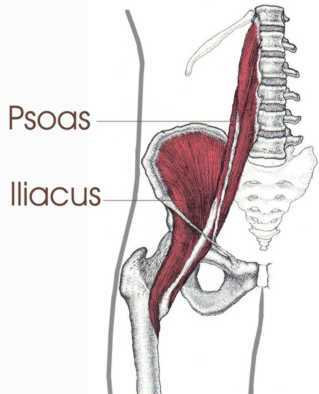 The psoas muscle is one of our hip flexors. If we constantly contract the psoas due to stress, tension, or sitting for long periods of time, the muscle eventually begins to shorten leading to a host of painful conditions including low back pain, sacroiliac pain, sciatica, disc problems, scoliosis, hip degeneration, knee pain, and more. This awkward looking move helps release and relax the psoas muscles and can combat chronic lower body pain. Making time for a few minutes of mobility work before and after your workouts can be a game changer! No matter how strong you become, you will not be able to do most movements correctly without muscle mobility. Make these five moves a part of your regular routine and your hips will be healthy and happy! 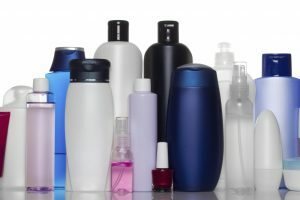 I wrote this article for the Nerdstronggym.com blog!